It is with great excitement we share that we have been named one of the top app developers in Poland! This distinction comes to us courtesy of Clutch, a B2B ratings and reviews platform that uses data driven research and client interviews to gauge the caliber of services provided by firms. After evaluating more than 200 app developers, All In Mobile was named an industry leader as the 17th ranked app developer in all of Poland. 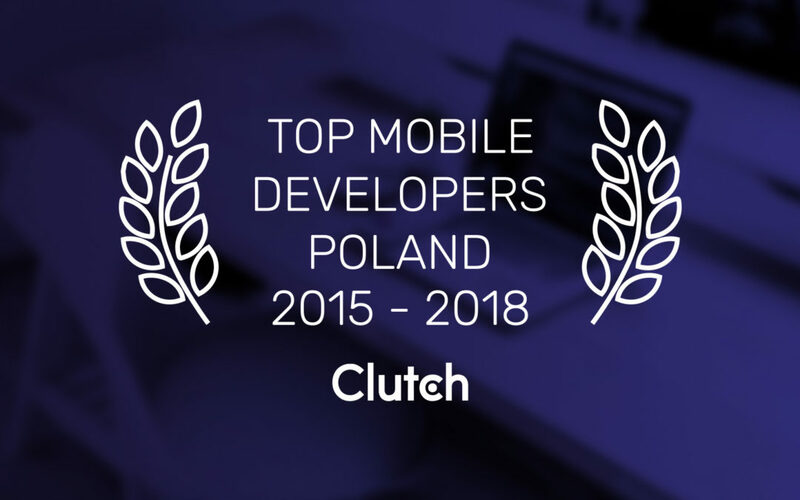 AIM was also featured by Clutch’s sister-site, The Manifest, as one of the top user experience teams in all of Poland. The Manifest is a resource that helps teams identify their business challenges and provides insights on how to solve them. We were recognized for both our overall quality as a UX team and for a notable project that we completed for a startup. We are a team of multi-talented developers and designers that are dedicated to creating positive digital experiences to bring organizations of all kinds closer to their audiences. From enjoyable apps to slick user experiences, we believe that our passion shines through in every project that we complete. And with client feedback like, “The All In Mobile team is full of great guys, and they’re easy to work with”, and, “All In Mobile’s transparency and accessibility sticks out”, we know that we’ve hit the mark. Check out our Clutch profile to read more of what our clients have to say about us. With the importance of mobile apps on the rise for businesses, we are proud to offer unparalleled mobile and digital experiences that help businesses connect with their clients. We are grateful for the recognition that we have received, and we are doubly grateful for our amazing clients who helped us receive it. They enable us to follow our passions and we would not be where we are without them.